IWM collect all types of end of life tyres from premises across Yorkshire, Humberside and Derbyshire at a very competitive price. You can rest assured that our service is of a very high quality. We tailor our collection service to suit your requirements and as a licensed tyre recycling centre we are able to issue waste transfer notes to cover your legal obligation for disposal. 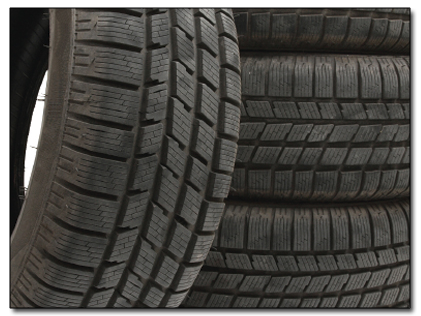 For all other tyre types please contact us for more information (All prices are based on an individual tyre). Transport costs may apply dependent on volume and location.